And the answer is… ignore doctors. Go to a midwife. This was the woman who provided pre-natal care to expectant mothers and delivered babies. Village midwives were often illiterate, trained by their mothers or a neighbor, but they often practiced practical medicine that had a much better chance of saving a person’s life. Why? Because although they did not have any real idea what caused sickness or infection, they followed tried and true practices that helped their patients get well. Midwives generally followed some kind of cleanliness protocol, even if that meant keeping the patient away from the local water. They might lick a wound clean. Or they might clean the wound using the patient’s own urine. If this sounds gross, remember that there might be a dead cow in the well. Modern science has revealed that these things actually have curative properties. Saliva in a wound has antibacterial healing properties. And using the urine of a sick person to wash the wounds recycles some of the body’s own defenses against infection, putting them right back where they’re needed after they are flushed out of the body. 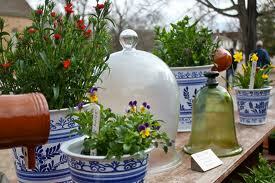 In addition, midwifes used herbs that are the forerunners of modern medicines. Willow bark tea is the natural source of the active ingredient in aspirin. Foxglove is the source if digitalis, the drug used to treat heart trouble. Chamomile and lavender are relaxants, and rosemary has specific uses against migraines. Doctors used these herbs also, but often cluttered up their application with untested philosophical theory. Midwives did what worked. Some ancient treatments are worth visiting today. Honey, used on wounds as long ago as ancient Egypt, has been proven to provide better antibiotic treatment than over-the-counter antibiotic creams. Equal in effect is plain sugar-water. Midwives put spider-webs into deep cuts, and research has proven that the long protein strands in the webs are used by the human body in wound closure. Of course, the reasons for doing these things were more superstition than science. No one in the 18th century thought about “metabolizing protein strands.” The first person who used webs was probably trying to tap into the “magic power” of spider webs to bind things together. Unfortunately, this belief in “magic” didn’t resonate with medical doctors, who had their own philosophies. The determination of the rising, degreed medical doctor to disregard the traditional, female-run folk medicine cost them a years of practical medical experience. It was the acknowledgement of some female folk-medicine that helped improve the modern technique of inoculation. 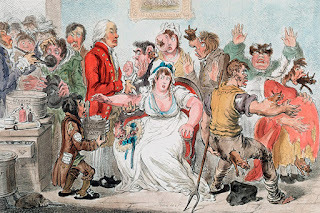 Edward Jener, the discoverer of vaccination, had learned that scratching a healthy person’s skin and rubbing matter from a smallpox pustule into the wound would cause the person to catch smallpox. Usually the case would be mild. As this was the only protection people had from full-blown cases of smallpox, it became a popular medical treatment. Unfortunately, there was no reason why the induced smallpox had to be less lethal than regular smallpox, which killed thousands of people. Sometimes the person receiving the inoculation died. Then Jener spoke with a milkmaid, who believed that she was immune from smallpox. Indeed, milkmaids were noted for their beautiful skin, in no small part because they never seemed to have the terrible scars that come from smallpox. The milkmaid explained that her immunity came from having had cow-pox, a much milder, less lethal and less scarring disease. Jener ran actual medical experiments and proved that the milkmaids were right. From then on, he could inoculate against smallpox and not kill his patients. So that was medicine in the 18th Century – a little magic, a little philosophy, a lot of luck.